It’s no secret that pink is my favorite color, and I certainly don’t shy away from it when it comes to my wardrobe. However, I never would have thought to combine the rosy hue with red in a look. (I usually leave this color combo to Valentine’s Day only.) Until now, that is. 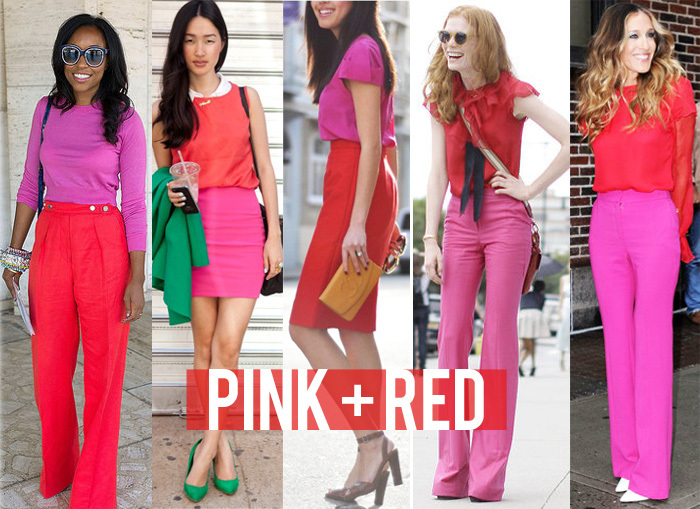 The red-and-pink combo has been everywhere lately – including the runways, on the street, and even last month’s SJP Marie Claire cover. What do you think of the this colorblocked look? Too much? Or just right? I’ve put together a couple of options in case you’re eager to try it out. Love the combination of these two colors. The first outfit is so lovely! Love the DKNY blouse. 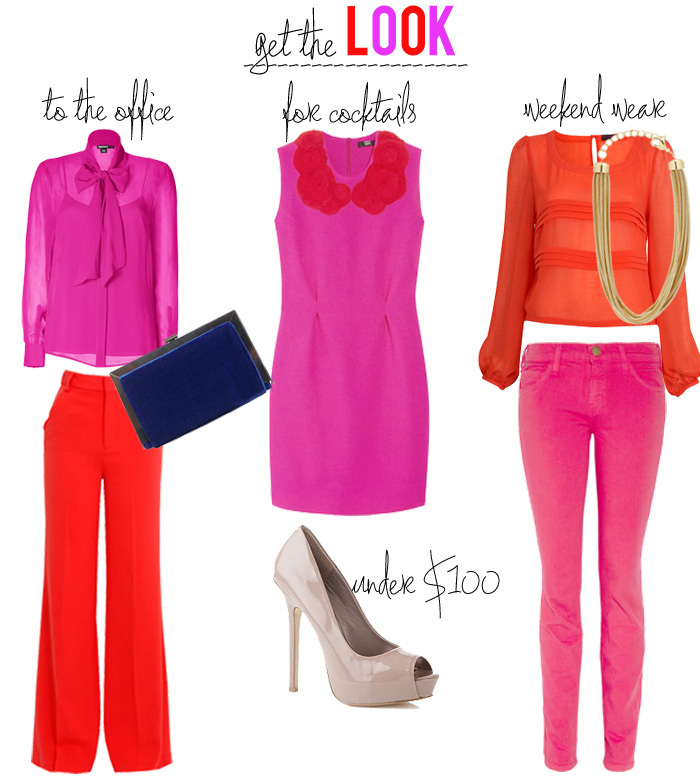 My absolute favourite colour combo…LOVE the work outfit!!! I've seen this a lot this fall! Love these colors together. One of my all time favorite combos. Love. LOVE the “to the office” look! Those pants are crazy awesome! love this color combo! that markus lupfer dress is amazing!